There’s nothing quite like the way a major international football tournament can bring people together. 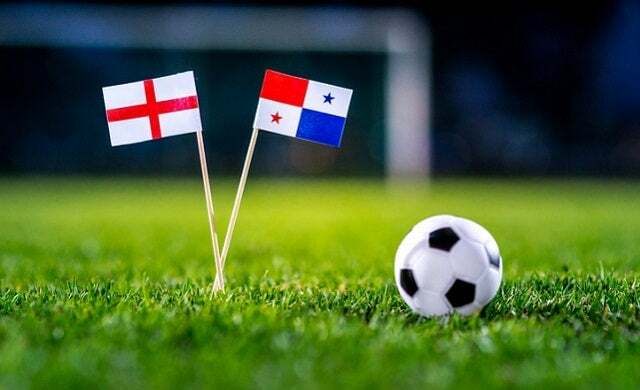 As St George’s flags line the roads of houses up and down the country and choruses of three lions echo through pubs long into the night – people allow themselves to dream, even believe, that England may reach the promise land of World Cup football. Images of Beckham’s red card, Ronaldinho’s lob and Gazza’s near-miss live long in the collective memory of the nation and it’s important to remember the cultural impact such tournaments can have. With Gareth Southgate’s squad selection widely praised for its bold emphasis on youth rather than experience, you can reasonably assume your workplace will be more excited than ever about what the footballing gods have in store. As a small business owner, however, it’s vital you realise that the beautiful game can come with an ugly cost to your company. As a recent survey by XpertHR revealed, one in four employers has had to deal with people management issues as a direct result of a major sporting event in the past. With the most common issues being reduced productivity and a spike in unauthorised absence. And with two of England’s first three games being held on midweek evenings, with the other on a Sunday afternoon, you may have to briefly change your business tactics in order to achieve your company’s goals. Luckily for some, currently none of England’s three guaranteed games fall during ‘traditional’ nine to five working hours. Despite this, and in the hope England progress to further rounds to play during the day, you may have to prepare yourself for hungover staff, drinking during work hours, and even impromptu demands for time off. Make your policy clear on all these points and remind staff of existing rules. What will and what will not be tolerated? For example, allowing staff to watch a 1pm or 3pm game could be subject to them coming back sober or working through lunch. It’s vital to have clear rules on the following: absence, flexi-time, special boundaries, lateness, drinking, and the use of mobile phones, tablets and radios. Make sure it is balanced and fair, especially if you have decided that special allowances will not be allowed. Circulate the policy via email or bulletin boards to ensure all staff are in the know. Despite the festival atmosphere, you can ill afford disciplinary standards among staff to slip too low. However, it’s key to remember that any knee jerk or ill-tempered decisions you make could lead to you being caught offside by an employment tribunal. Unfair dismissal can cost a small businesses thousands of pounds in compensation and legal fees so when disciplining unruly staff – remember to always follow the proper legal procedures. Such procedure should include a first, second and final warning before a dismissal is made. The fact that the behaviour relates to the World Cup should make no difference and a fair disciplinary process should include allowing a member of staff to be accompanied by a work colleague or Trade Union representative. Refusing your staff any footballing privileges will not do anything for morale and in some cases may cause real resentment. Even if you’re not a football fan, it’s worth bearing in mind that the sport can mean a great deal to many people. Offering staff flexitime is a simple yet effective solution to the problem of games during your work hours. Allow workers time off to watch games if they commit to make up time elsewhere – such as during lunch hours or even if they stay late/come in early. It might also be a good idea to make staff declare from the offset which team they’ll be supporting and offer them flexi-time for their fixtures only. Otherwise, you could potentially have some footy-mad employees who suddenly realise they have an affinity to Colombian football or a long lost Icelandic grandmother. There’s a good chance your business will need to have staff available for customers at all times. If this is the case, make it clear that you expect somebody to be available in any given department during a match, but add that how they organise their time is up to them. For example, if you need someone at reception or a helpdesk, why not have two staff members agree to take a half each. The fact you have done everything possible to accommodate everyone will no doubt be appreciated. The World Cup offers a great and unique chance to reward and incentivise staff. Use the matches and great pub atmospheres as a carrot for your staff that they could work towards. For example, you could motivate your sales team by telling them if they hit a desired target within a certain time that you would take them out to watch a game. Similarly, you could set up an office pool and randomly assign everyone a team, this will give staff the chance to win money and will even spring interest among non-football fans meaning no one will feel left out. Making a TV available for staff to watch games in work during the tournament could actually save your business time and money – as otherwise your staff will have no choice but to hit the local boozer. A modern day alternative is also simply to allow staff to stream games on their computer or tablets. This way once the final whistle blows, they can return to work almost immediately. As the World Cup will no doubt bring great buzz and excitement around the office, why not use this period to give something back. Organise charitable events around the tournament and encourage all staff to participate. Hold a ‘football shirt day’ where staff can wear the shirt or colours of their favour team. Decorate your office in bunting and pass round a charity bucket where staff can donate money for the privilege. Raising money for charity will not only raise much needed funds for the less fortunate but also increase staff morale and raise the profile of your business. If your small business is client-oriented, then this could be the perfect opportunity to improve relations further. Why not take them out for one of the games? Or host them at your office with a spread and cold beers? Even the smallest gesture could go a long way. Finally, with the possibility of staff watching the games on an online player, it may be worthwhile preparing for a slightly slower internet connection than usual given the probable power surge. Inform your IT team and make sure your infrastructure can cope with added demands.